Secretary of the HCMC Party Committee Dinh La Thang yesterday morning said that tax loss fighting required the whole political system to join hands in order to contribute to economic development and create fair environment for businesses. Speaking at a conference on enhancing the party role of inspection and supervision in tax loss combat and transfer pricing, he said that the tax loss fighting must start from policies which should be supplemented to facilitate tax management. He instructed party organizations to strengthen inspection and supervision over their party members’ income and expenditure to improve the efficiency of tax loss fighting instead of leaving the whole work for tax and customs agencies. Party committees must speed up propaganda and cadre arrangement to contribute in fighting tax avoidance. Meantime, information technology application should be enhanced in tax collection to make the activity transparent and create advantageous conditions for taxpayers and tackle violations. Secretary Dinh La Thang questioned why 250,000 private business households which is tenfold business number now have contributed to only 2 percent of total tax revenue. Many of them have issued invoices so why they have not upgraded into businesses. He wondered how tax officials have worked to collect tax from these households and tax consultant councils in wards and communes have implemented their roles. The currently manual management has caused overloading condition as a tax official has to manage 500 business households or 160 businesses. Invoice regulations should be reviewed while presumptive taxation should be reconsidered to have a suitable mechanism for business households, he urged. Talking about tax loss combat, head of the HCMC Taxation Department Tran Ngoc Tam said that there were things out of reach of the agency requiring policy improvement. Price transferring is an example, he says. Some nations and territories impose 0 percent corporate tax rate which reaches as high as 20 percent in Vietnam. So it is definite that multinational corporations will transfer their profits to the 0 percent tax nations, he added. Therefore Vietnam has been forced to negotiate on price with foreign investors, this is just like presumptive taxation, he added. Moreover, tax agencies have been unable to supervise businesses over their brand name transfer abroad under the form of cooperation. Many foreign firms have taken in Vietnam outdated technologies but the tax industry alone is unable to tackle this issue because it needs relevant agencies to join hands. According to Mr. Tam, transfer pricing has occurred at not only foreign but also domestic firms. For example, industrial parks offer tax cut or exemption in 3-4 years. So many businesses have affiliated with companies outside the parks and then transferred profit to preferential zones to avoid taxes. The current mechanism has been unable to manage invoices which are the “soul” of value added tax because of cash payment. Many companies have offered invoices for sales publicly on the internet. Regulations just require transactions priced from VND20 million (US$880) and more to make payment through banks. Tax agencies used to suggest placing cash registers for retail firms who pose high threat of tax loss. However there is no legal proof to force them to use these machines, he says. Mr. Tam proposed district People’s Committees to work together to inspect and supervise tax collection and payments in their localities. District party committees need to supervise their cadres and party members. 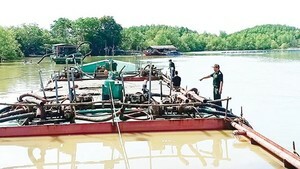 There are problems in import declarations now, in case businesses declares high import prices of materials and machines for their operation, it traditionally aims to increase costs to reduce corporate tax while low price declaration seems to avoid import tariff, according to deputy head of the HCMC Customs Department Nguyen Huu Nghiep. Hence, he proposed connectivity among banks, customs, taxation, planning and investment, industry and trade agencies to supervise businesses from their material purchase to product sale. Most of those working in the financial field claim that policy shortage has raised difficulties for inspection and tax loss fighting. Deputy chairman of the HCMC People’s Committee Tran Vinh Tuyen asked tax agencies to mobilize and encourage private business households to become businesses. In short term, he urged to put an end to presumptive taxation at three wholesale markets in HCMC. A mechanism should be built towards little inspection and high efficiency to prevent long lasting inspections from raising difficulties for businesses’ operation especially amid peak trading time. He prompted tax agencies to establish a joint database of businesses to supervise their input and output activities and coordinate with other agencies to connect their databases together. 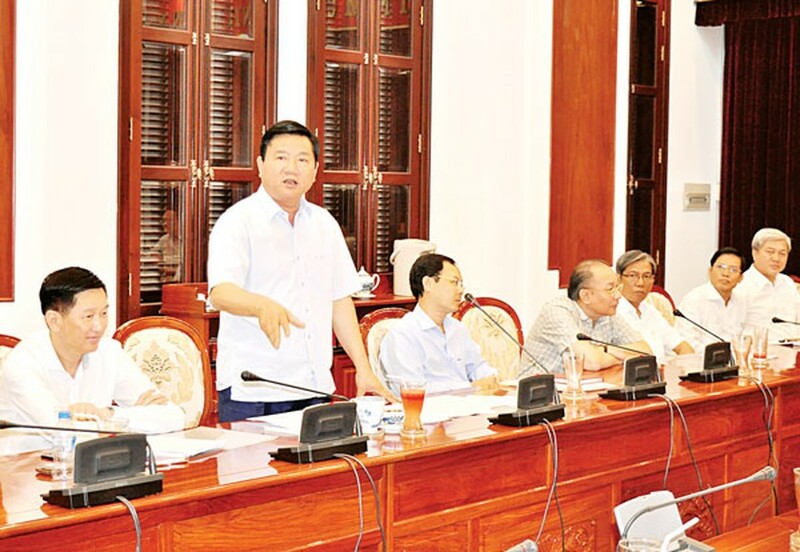 Mr. Tuyen proposed the Vietnam Fatherland Front Committee in HCMC to improve its supervision role to tax consultant councils in wards and communes. All level party committees should notice the control of their cadres and party members to limit negative issues in tax management.